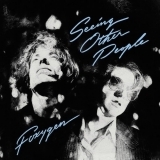 Foxygen Seeing Other People CASSETTE TAPE! 2019 indie rock album! limited NEW!!! The tracks on this album have an average rating of 78 out of 100 (1 out of 9 tracks have been rated). Related links: top tracks by Foxygentop tracks of the 2010s, top tracks of 2019.